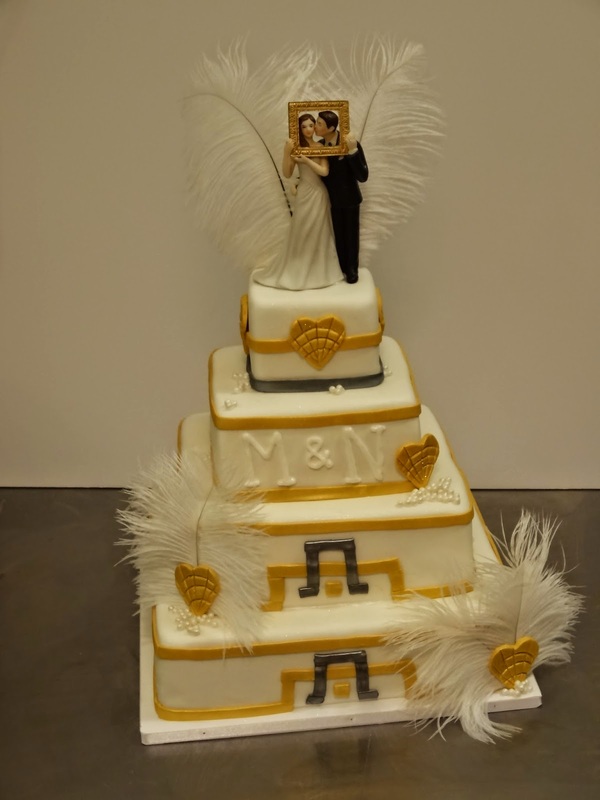 Amazing art deco Great Gatsby inspired wedding cake!!! 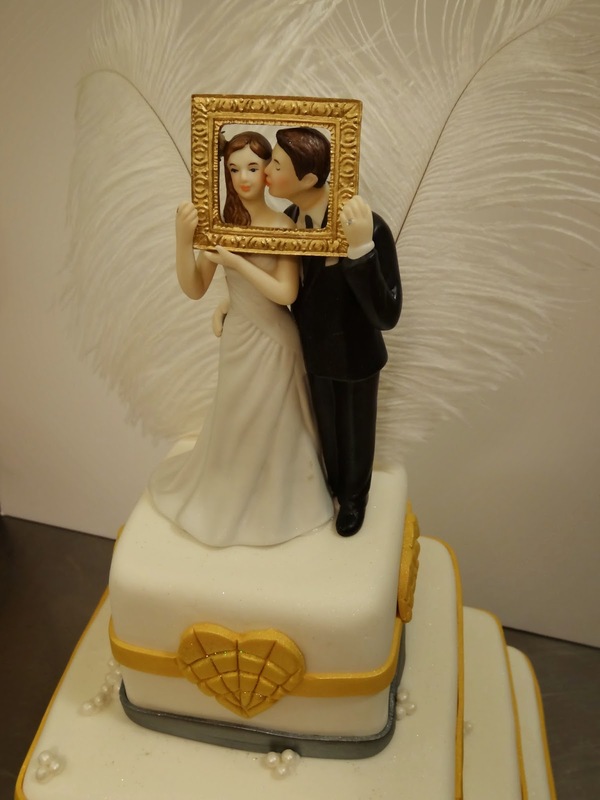 Lovely wedding topper order and provided by the couple. Cake was RED VELVET inside for an added surpirse! CONGRATS to Nikki & Marc!